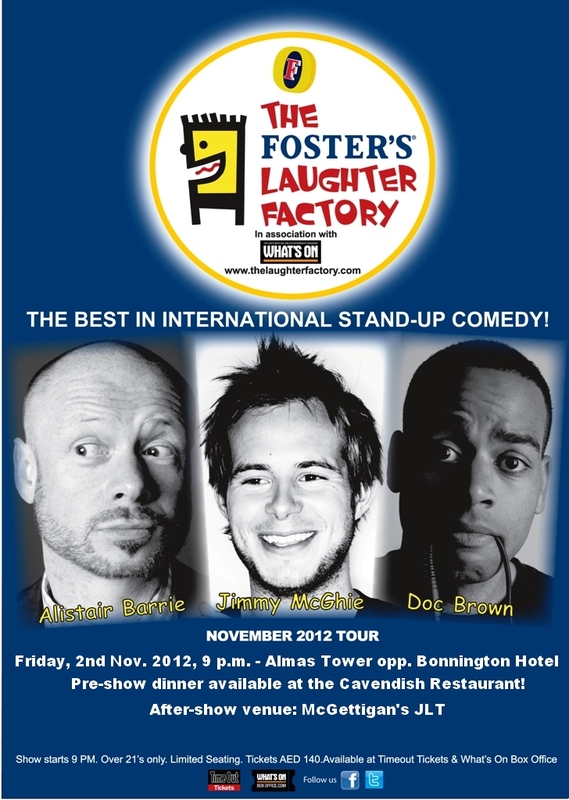 The Laughter Factory is coming back to JLT on Friday, 2nd November 2012! This month’s line-up promises a great show, so why not make an evening of it and come down early for dinner in our Cavendish Restaurant? The show takes place in our Almas ballroom, just across the road from the Bonnington. Doc Brown is an underground rapper who worked with, among others, De La Soul and Mark Ronson. In 2008, Doc Brown put down one mic and picked up another after working as a “slang consultant” on a Lenny Henry sitcom, written by Danny Robins and Dan Testell for Radio 4. Jimmy McGhie’s career was kickstarted in 2005 after reaching the finals of the prestigious ‘BBC New Talent’ competition and performing in the ‘Amused Moose Hot Starlets Showcase’ at the Edinburgh Festival. He then began working full time as a stand-up comedian performing in theatres, clubs, arts centers and universities all over the country and abroad. Alistair Barrie has been performing professionally for nearly an entire century… this one. Much in demand as both a headline act and MC, he has played all over the UK and Ireland, as well as further afield including the States, Australia, Switzerland, The Netherlands, Belgium, Prague, Dubai, Doha, Abu Dhabi, Norway, Hong Kong, Macau, Malta, Cyprus, Singapore, Bahrain, Indonesia, Mumbai, Athens (during riot season) and the middle of the North Sea. The best in international stand-up comedy is coming to the Almas Conference Centre (managed by Bonnington) in April! Don’t miss the Laughter Factory on Friday, 6th April 2012. Featuring: Andy Robinson, Dominic Holland, and Michael Fabbri. Tickets are available from What’s On Box Office and TimeOut Tickets. The Almas Conference Centre is located just across the road from us, so why not pop into the Bonnington for a pre-show dinner in our Cavendish Restaurant or drinks in our Healey’s Bar & Terrace? 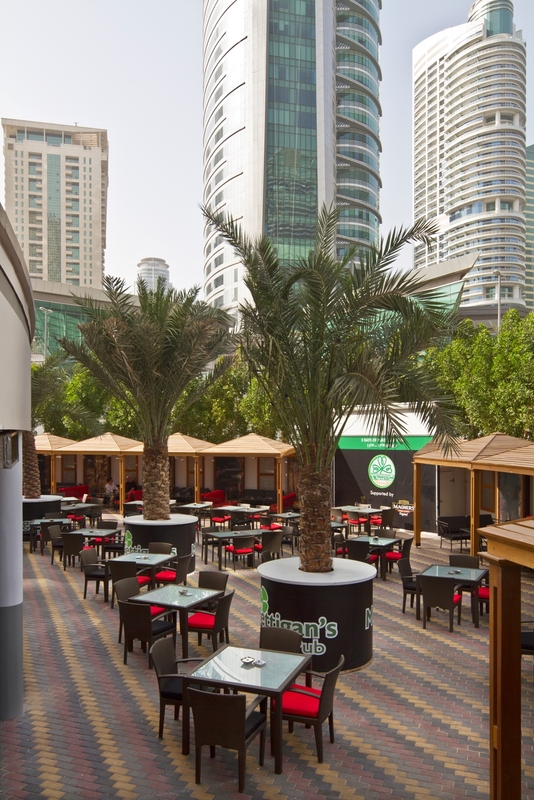 You can follow the Almas Tower Conference Centre on Google+ by clicking here – stay informed on all upcoming events! Don’t forget to visit our homepage! Have you seen our YouTube channel already?